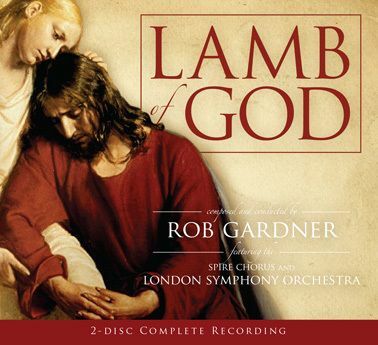 “Lamb of God” is a sacred work for choir, orchestra and soloists focusing on the final days of the life of Jesus Christ, His Atonement and Resurrection. This 2-CD premiere edition recording includes the complete score and narration. Features the London Symphony Orchestra, Spire Chorus and soloists including Jordan Bluth, Daniel Beck, Michael Sackett, Linsey Maxson, Jenee Prince and Sharon Hopkins. Composed and conducted by Rob Gardner.